It may seem a long way from the steep airstrips of PNG, but it is the starting point in bringing physical and spiritual transformation to people living “at the ends of the earth”. Whenever we share our work, people are excited about the ministry of MAF: that we can reach those that no one else can, bringing transformation and the love of Jesus to so many each day. Be part of something bigger, and be a voice for MAF. 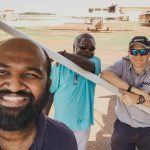 Work as an MAF Advocate might seem a long way from the steep airstrips of Papua New Guinea or the muddy rivers of Bangladesh, but it is the starting point in bringing physical and spiritual transformation to people living “at the ends of the earth”. MAF Advocates aren’t “just helping out”. They are a dynamic group of volunteers who are a vital part of MAF’s strategy to promote the ministry, to raise prayer and financial support and to challenge a new generation of people to consider missionary service with MAF. Through the volunteer ministry of the MAF advocate team, you can serve the Lord, transform lives and be part of building God’s kingdom worldwide... right where you live. MAF Advocates work in teams across the country and have varied roles suitable to their skills and availability. 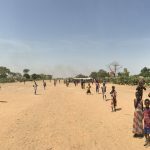 They are not only advocating for MAF but are a voice for the people that MAF serve… those people beyond the physical and geographical barriers that MAF overcomes to bring help, hope and healing, in Jesus’ name, to some of the most isolated people on the planet. If you'd like to take a look at the resources available, fill out the form below and we'll send you a link to view them. Whatever your Advocate ministry looks like, you can be sure that it will make a valuable difference to people living at the ends of the earth. Find out what it means to be a voice by filling out the form below. We’ll send an email through with some details on the different ways you can get involved. We'd love to have you join us in telling this life-transforming story! Fill out the form below to tell us a little bit about you. Where did you first hear about MAF? In what ways are you interested in being involved?